Scrum is a most popular agile framework for managing work on software development. It is designed for small teams of three to nine developers who break their work into small actions that can be completed within timeboxed iterations, called sprints (typically two-weeks) and track progress and re-plan in 15-minute stand-up meetings, called daily scrums. You must read these following books for learning Scrum methodology. 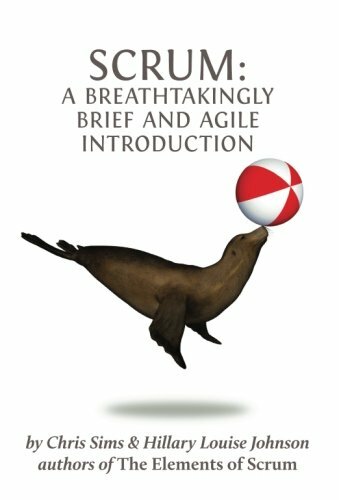 This tiny book shows you the essentials of Agile development and Scrum, the Elements of Scrum by Chris Sims and Hillary Louise Johnson. With this book, you will get all necessary steps for starting agile development with Scrum. This book will help a small team for developing a complex product. You can use Scrum to build a better mousetrap. You will discover how to run the marketing division of a puppy chow company. Able to learn how to collaborate on writing a book. 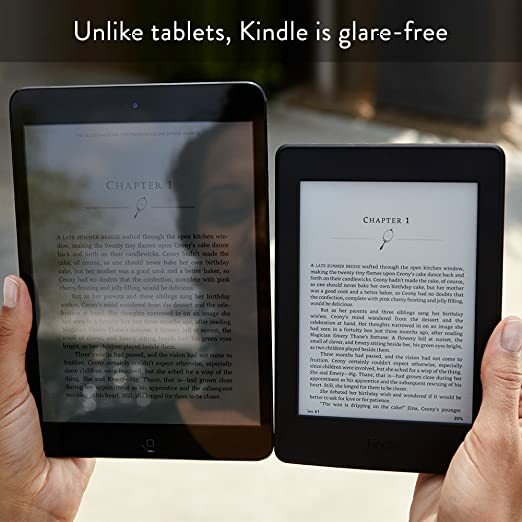 You will gain the most traction in the technology sector through reading this book. If you want to start a new project and you do not understand how to start it then this book is ideal for you. This book contains a lot of practical examples that could be transformative for your company. You will learn the origins of Scrum. Able to achieve what others consider unachievable. This book shows a new way to simplify your life and work, increase your focus and get more done in less time. Discover, how to began Scrum and implementing it. This book will help you to feel good in the process. This book is a one-stop source including guidance on understanding Scrum, registration, preparation and extensive practice. It articulates the original, unpolluted Scrum framework. This book also helps the reader to absorb the deeper meaning behind Scrum by means of Active Learning. This book includes a storybook for executives. 'Professional Scrum Master' describes comprehensive Scrum material, tips, and 250+ practice questions. You do not require any mandatory training courses for learning Scrum. Able to acquire a certificate, you do not need to renew. The writers of this book show you how to become professional in Scrum. You will be able to absorb Scrum system without context and correlations. 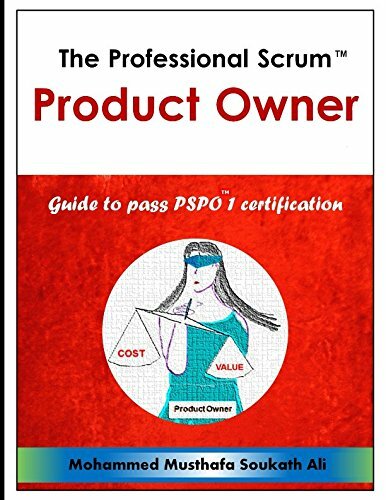 This book is a clear and concise guide for those people who are preparing for Scrum.org Professional Scrum Product Owner 1 assessment certification. This book covers the thorough scope of assessment areas and provides more than 120 practice questions. This book maximizes the value of the product and optimizes the work of the Development Team. You will learn how to register and attend the assessment. Play a role for the professionals to standardize their knowledge of product ownership and benchmark their learning. You will understand the product backlog management. 'Product owner' also describes Scrum life cycle. Scrum Master Certification is an executive guide that will be given a multitude of information and proven tips to help you to pass the scrum.org Professional Scrum Master (PSM 1) Exam. 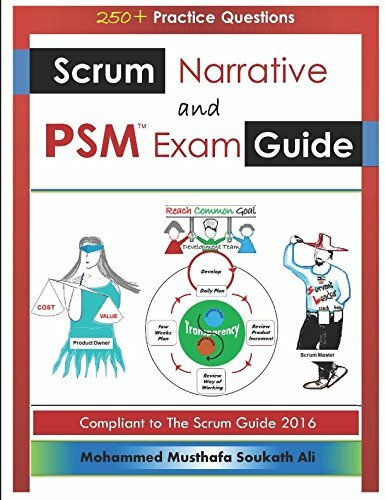 By reading this book you will get tips for passing the PSM 1 exam and even for using Scrum in your team or business from the ground up. 'Scrum Master Certification' describes the overview of Scrum-the exact events, roles, rules and artifacts used to deliver a project using scrum along with the history of Scrum. You will learn the correct terminology and use of Scrum to mastering it. This book describes Scrum Certification Coaching. You will learn how to Scrum Certification Preparation. This book also covers Scrum Skeleton Coaching and Exam Preparation. Scrum is just such a framework which has been used successfully for several years and allows teams to complete their projects to the satisfaction of all who are involved. 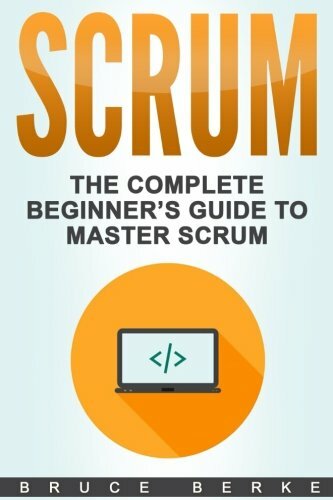 By 'Scrum: The Complete Beginner’s Guide to Master Scrum', you will find an in-depth analysis of Scrum and how it can work for your team. Able to learn what is Scrum and why you will use it. This book provides the theory behind its use. You will learn about the Scrum events. This book includes estimation in Scrum. You will be able to implement the principles of Scrum for your business. 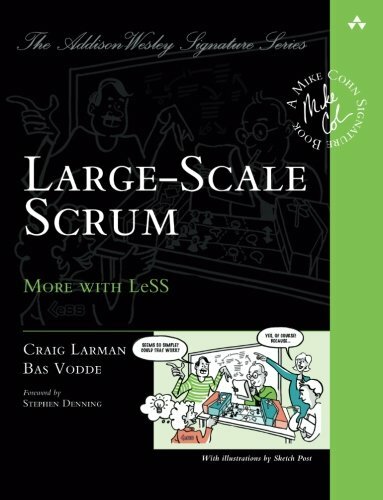 Large-Scale Scrum or LeSS has been the world of management by showing how to implement Agile and Scrum at scale. LeSS shows how to handle large and complex development and cope with immense complexity by creating simplicity. You will learn how to adopt top to bottom Large-Scale Scrum. Able to discover how to effectively work with multi-site teams. This book includes a structure of large development organization for customer value. Able to clarify the role of management and Scrum Master. The writers of this book show how you how to become a great Product Owner. This book describes how you will work with multiple whole-product focused feature teams in one Sprint that produces a shippable product. You will learn how to coordinate and integrate between teams. Scrum Mastery is a book that facilitates the Scrum process and removes impediments. 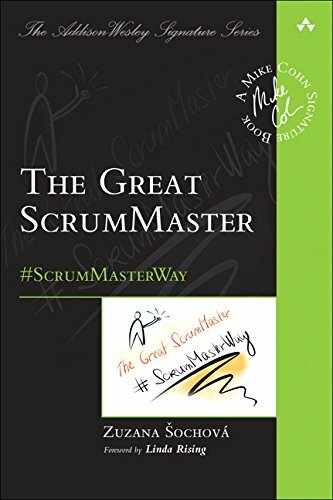 In this book, Geoff Watts shows a collection of stories and practical guidance, drawn from over ten years of coaching numerous Scrum teams that will guide you on your path to greatness. This book shows you how to generate, maintain and increase engagement with the team. You will learn ScrumMasters skills and characteristics. Learn, how to increase the effectiveness of the Scrum meetings, such as retrospectives and daily scrums. This book describes how to foster a more creative and collaborative team. Discovering how to increase the performance of the team. 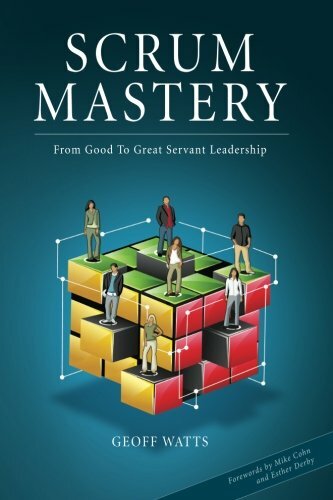 The writers of this book show you how to become a successful ScrumMaster. 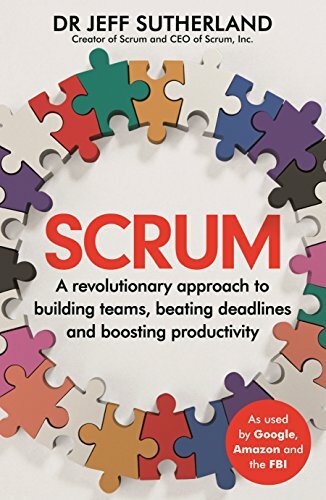 Scrum is the revolutionary approach to project management and team building that has helped to transform everything from software companies to the US military to healthcare in major American hospitals. In this book, Jeff Sutherland explains precisely and step by step how it operates and how it can be made to work for anyone, anywhere. This book explains how to define precisely what it is that you are seeking to achieve. You will learn how to set up the team to achieve Scrum. Able to learn how to monitor progress until the project is successfully completed. This book includes a lot of practical examples. 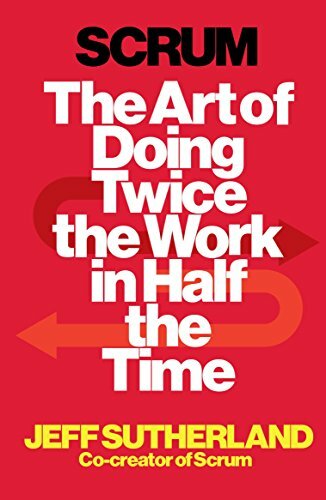 This book also shows you how to get things done however every day or ambitious, however small or large your organization. The Great Scrum Master is a practical guide to becoming an exceptionally effective ScrumMaster and using Scrum to dramatically improve a team and organizational performance.This book will give you a clear concept with practical, proven examples that show how to move from idea to successful execution. 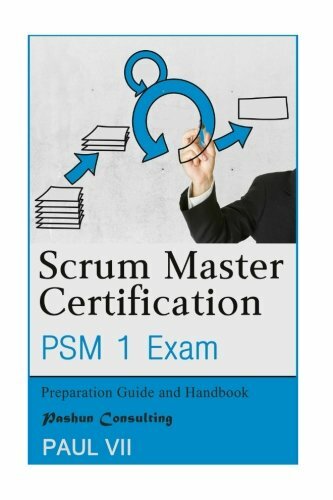 This book operates you to become a ScrumMaster. You can understand the ScrumMaster’s key role in creating high-performance self-organizing teams. Learn how to build more effective teams, manage change in Agile environments, and take full advantage of the immensely powerful ScrumMaster toolbox. This book describes how to drive deeper change in a safer environment with better support for those affected. You can learn how to build great teams, and improve teams that are currently dysfunctional. Able to learn ScrumMaster cognitive strategies and core competencies.